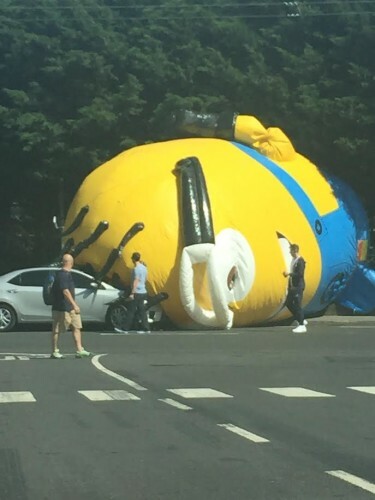 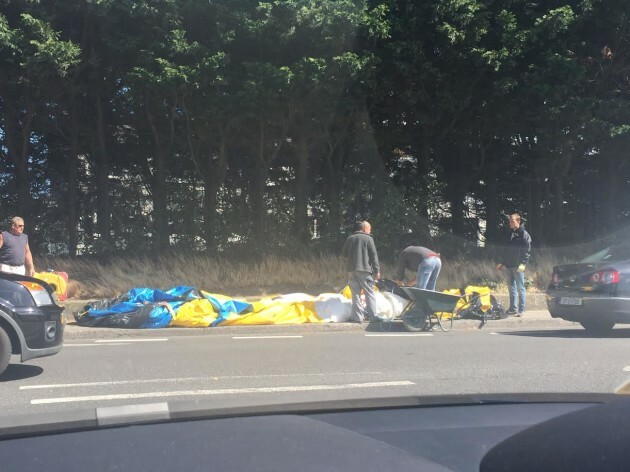 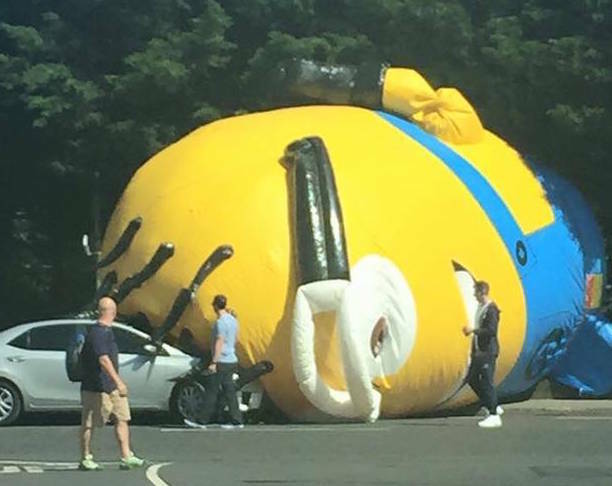 Things got strange in Dublin on this Bank Holiday afternoon, when a giant Minion balloon, used to advertise a local funfair, somehow got loose, and, due to high winds, went barrelling down the Old Swords Road. 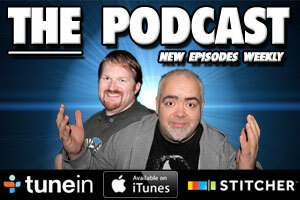 No doubt looking for a super villain to follow. 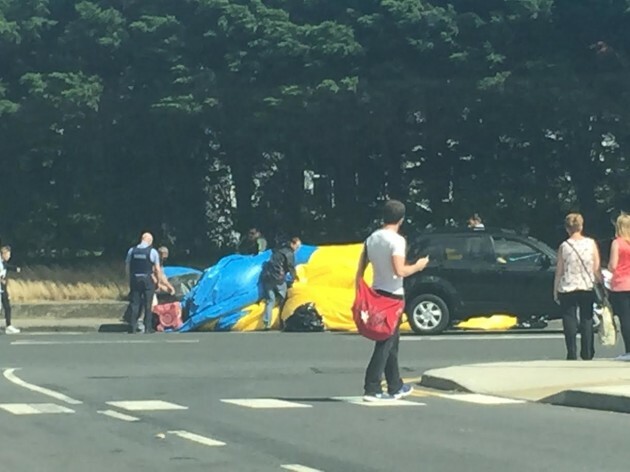 Save for one car losing a wing mirror, there was no damage or injuries caused by the massive yellow guy, and the Gardai were called and let the air out of the inflatable. 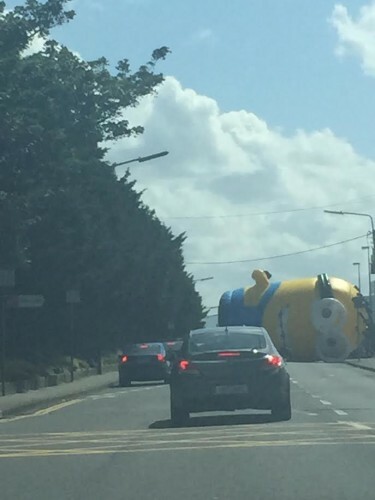 Thanks to Erin Van Londen for the photographic evidence of this surreal event.